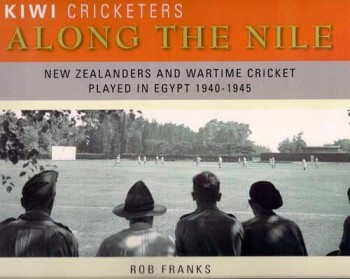 Kiwi Cricketers Along The Nile by Rob Franks is the story of wartime cricket played by New Zealand soldiersvwhile stationed at Maadi Camp in Egypt during the Second World War. It is a previously untold story focusing on the ‘international’ cricket matches played by the NZEF Base team during the wartime era. Many of New Zealand’s top cricketers served in the war and spent time training at Maadi Camp, however their exploits on the cricket fields of Egypt are not widely known. 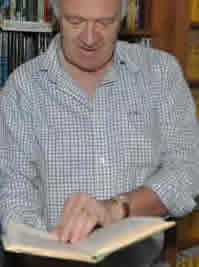 The book contains a year-by-year account of cricket played by New Zealanders in Egypt and a brief survey of wartime cricket played by New Zealand soldiers in Italy and Greece, by prisoners of war in Italy and Germany and the New Zealand Services team in England in 1945. It also includes biographical profiles of the players that represented the New Zealand Base and New Zealand Maadi Camp teams while attached to the 2 NZEF in Egypt. This is a limited edition publication of which only 65 copies have been produced for sale. It is an important work as it details a part of cricket history that has not previously been recorded in any detail, if at all. The book is priced at $70.00 plust GST with postage of $5.00.